Hello you, yes I'm talking to you hungry & curious hipsters ;) It has been a while since my last blog post in March (sorry! ), but this April, I'm back and kickin' again with plenty of awesome travel stories as well as recommendations on where to eat and stay at, from my recent trip to Bangkok, Thailand. This was my second trip to Bangkok, and I can tell that I love the city (perhaps more than my own city, Jakarta!). 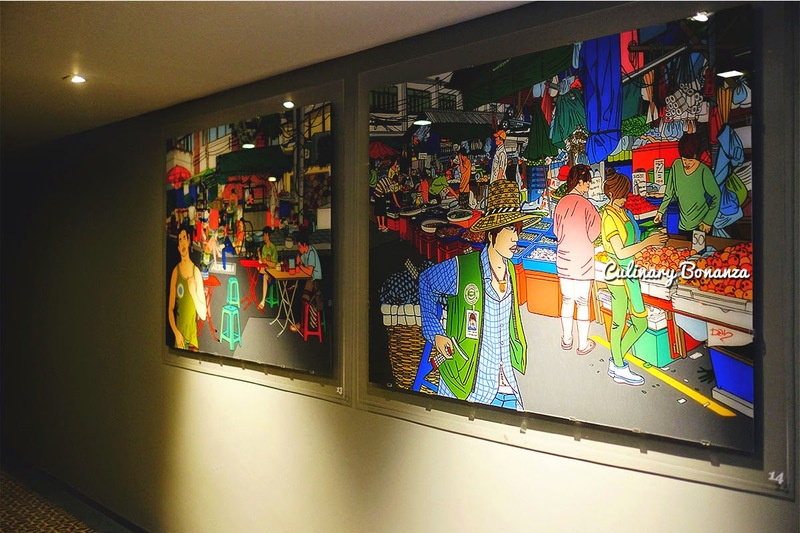 Bangkok is a melting pot of people from all cultures, countries and background. It's like Singapore, but much much more affordable. 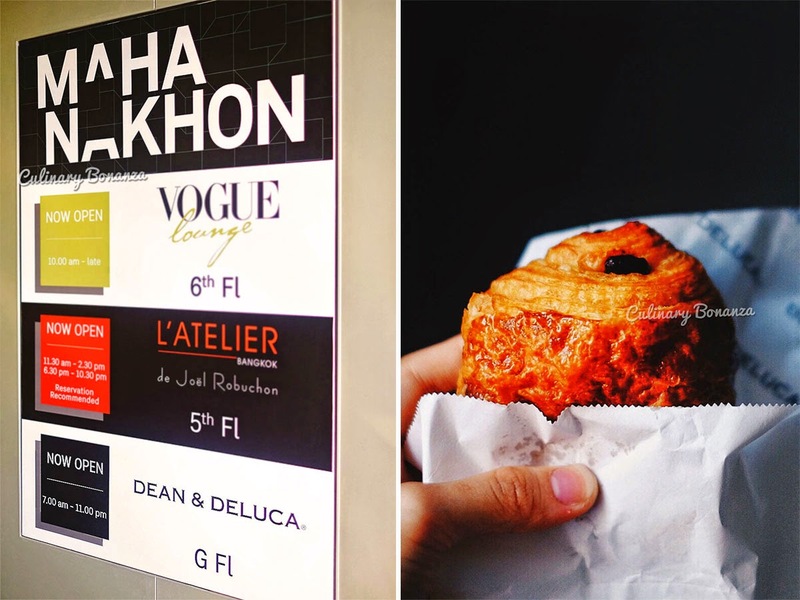 Bangkok is a heaven for fashion hunters, a paradise for all sorts of foodies whether it is fine dining or street food, and it is a whole lot more! 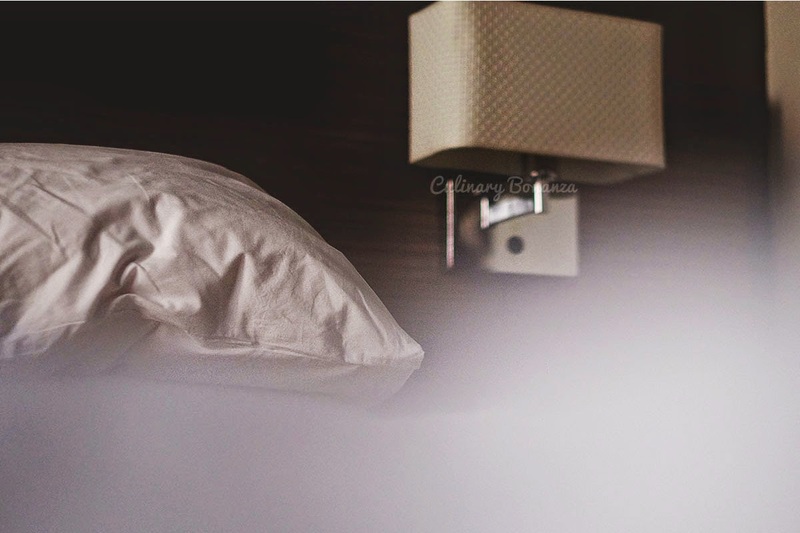 I will elaborate more in my next posts, because in this post, I'd like to share with you in details, about the hotel where I stayed at during the first few nights of my stay in Bangkok. 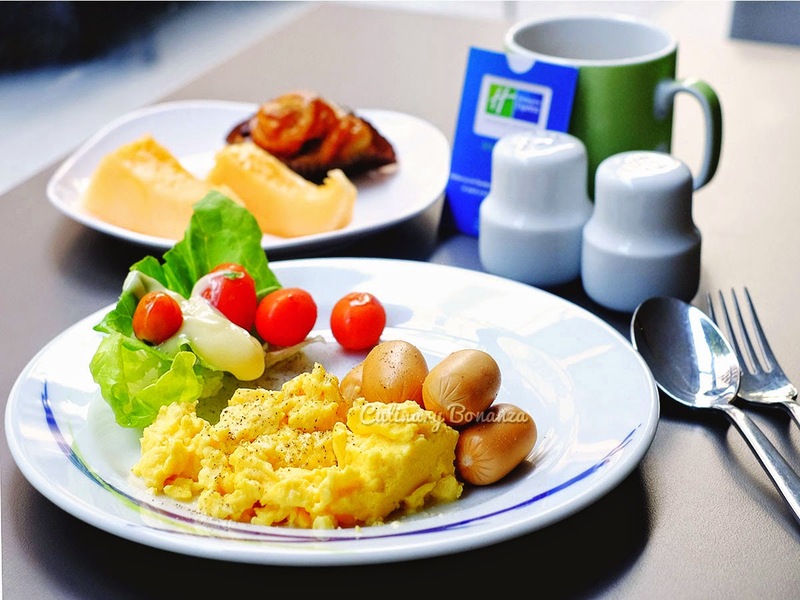 Holiday Inn Express Bangkok Sathorn is a part of Intercontinental Hotels Group (IHG). 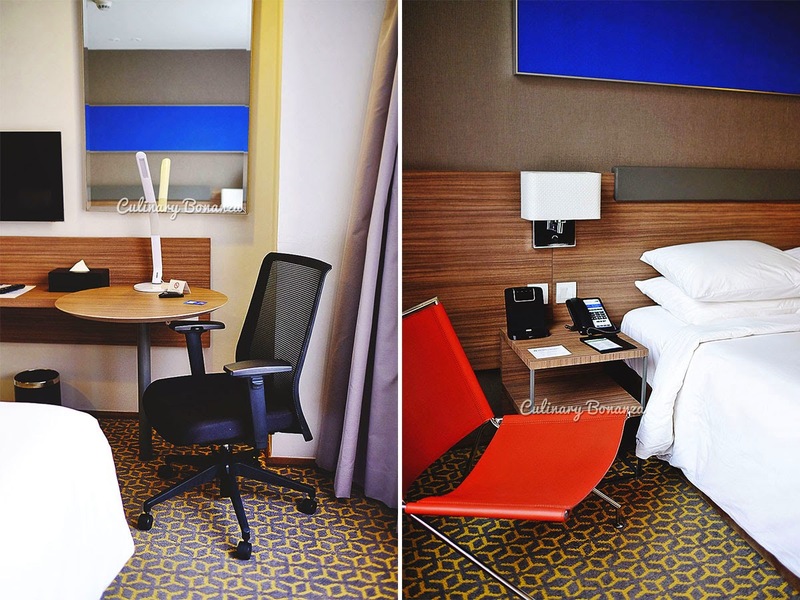 Unlike the sister brands, such as Intercontinental Hotel, Crowne Plaza, Holiday Inn, etc, Holiday Inn Express is conceived around the idea of a 'smart' hotel that provides convenience, practicality and limited services at affordable price, that perfectly suits business travellers and short-term staying guests. I'll elaborate further on the 'limited services' concept as we go further. 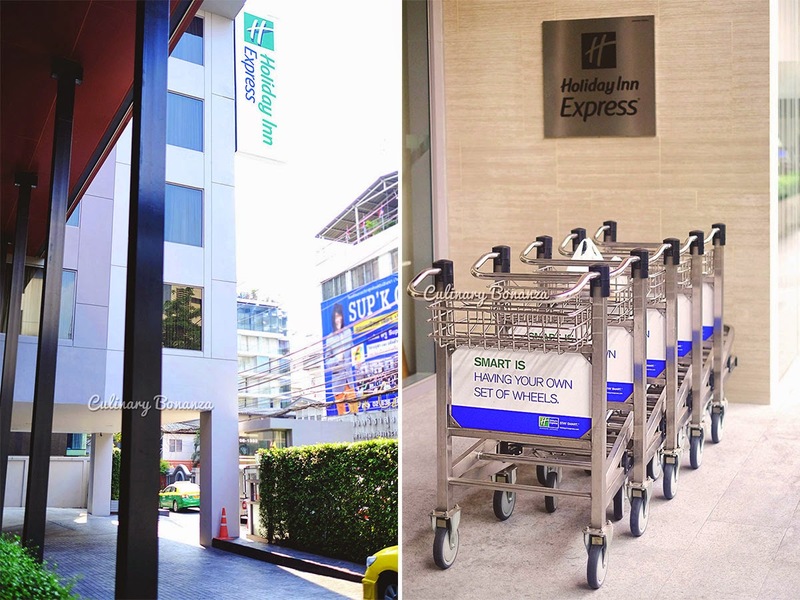 Holiday Inn Express Bangkok Sathorn (I'll call it HIEXBangkokSathorn henceforth) is situated in the busy business & commercial district Bang Rak. 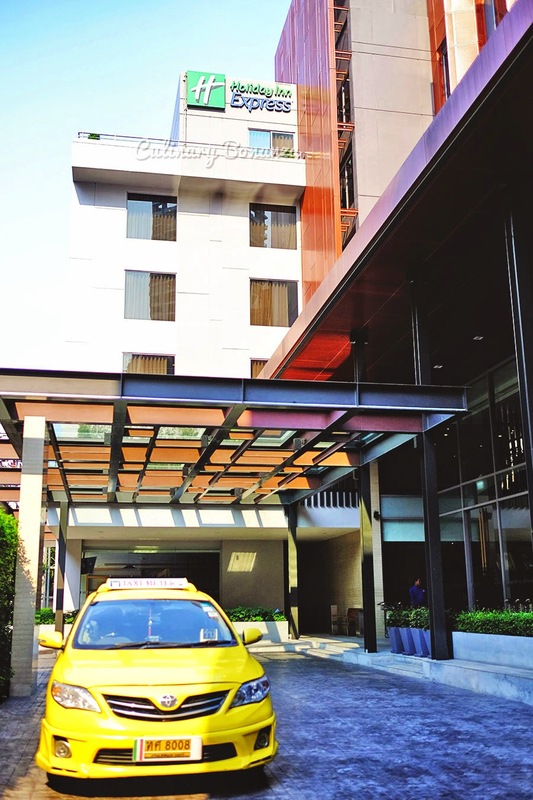 The taxi had cost me THB 340 from Suvarnabhumi to the hotel (not yet inclusive the highway fee and airport taxi surcharge - more details on this in the next posts). 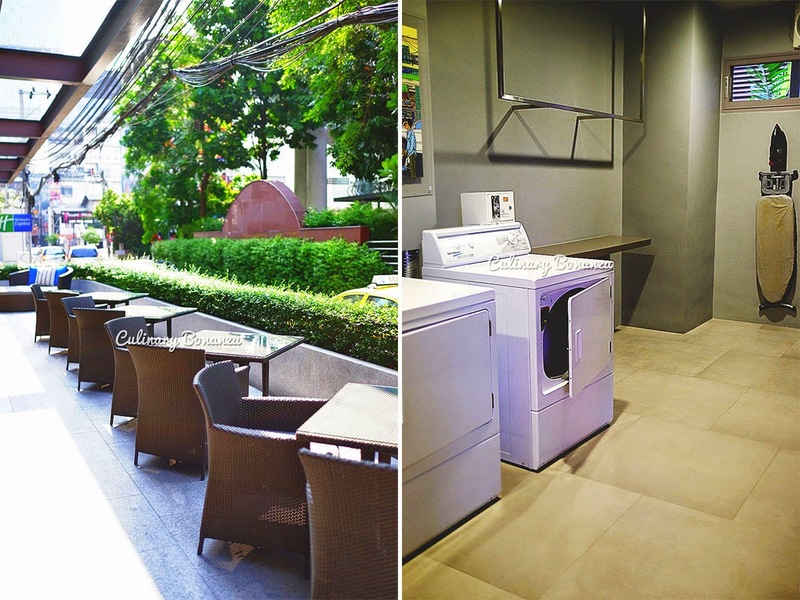 If you take the public transport, HIEXBangkokSathorn is conveniently located just some 50m away from the nearest BTS Skytrain Station Chong Nonsi. 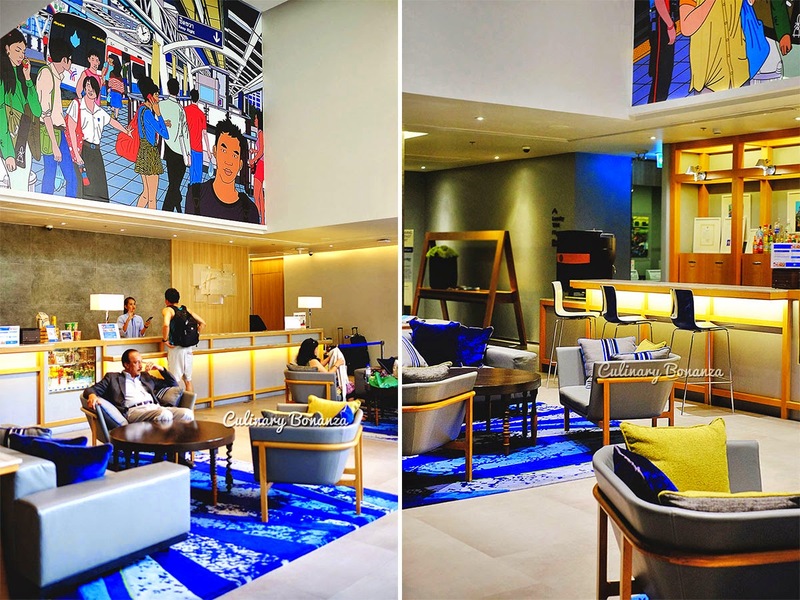 For someone who travels a lot on a public transport like me, this is a very important quality that I look for when choosing for a place to stay at. Access to the BTS Skytrain station, unexpected beautiful scenes in every corner! Captured during off-peak hours, BTS Stations can become claustrophobic at certain hours of the day! 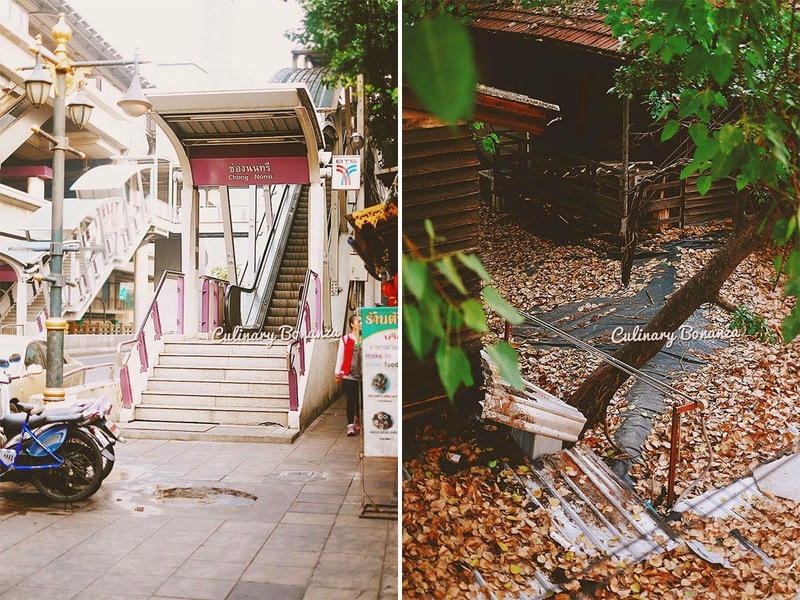 So, being located on one of the 'soi' (Thai term for smaller street) that branches out from a main one, HIEXBangkokSathorn is surrounded by a few small restaurants and bar, there's a 7-11 mini mart, and McDonald's restaurant that opens 24 hours, the BTS station is just 3 minutes walk away. During the day, you will find street food vendors along the pedestrian, from which you can easily grab some food to eat back in your hotel room. Otherwise, Dean & Deluca is just across the main street (access by crossing the BTS overpass). 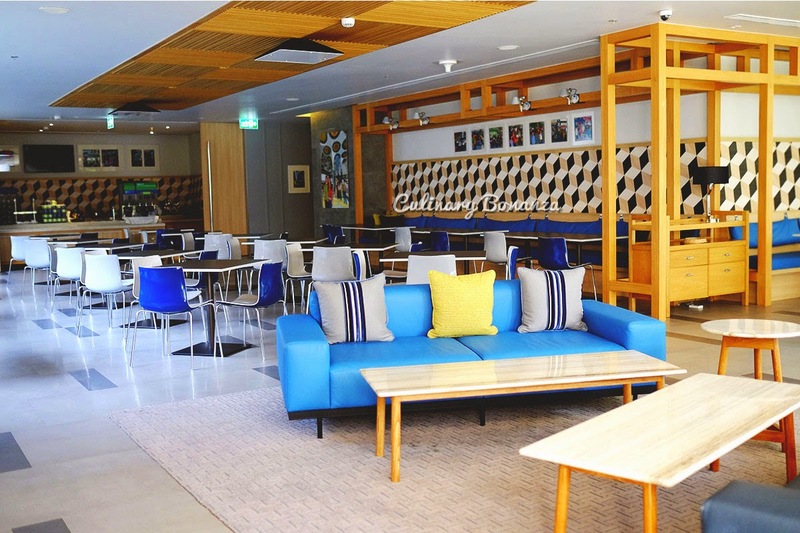 This New York trendy cafe and gourmet supplies store at MahaNakhon Cube, is said to be the largest flagship store in Asia. To me, it was like entering a wonderland of gourmet food! Need a second breakfast? Dean & Deluca is just across the street! 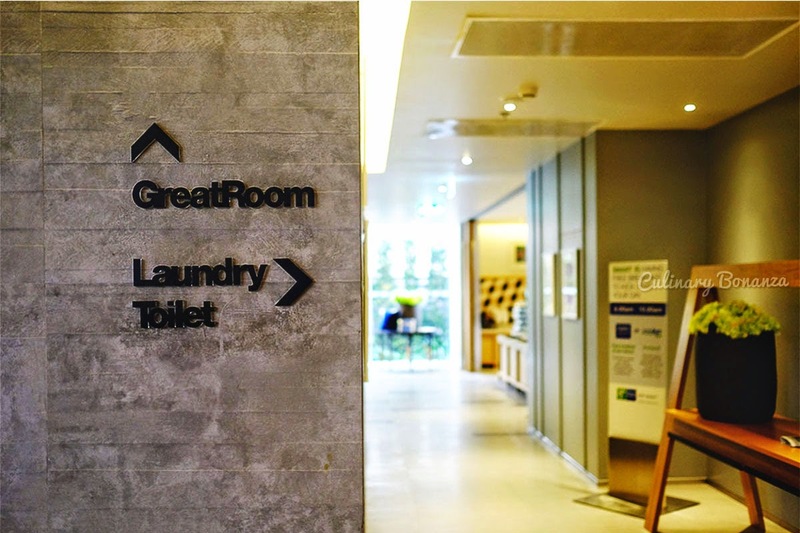 Holiday Inn Express's is designed along the idea that smart guests are independent guests and thus, the hotel provides a Self-Service Laundry Room with coin-operated washing machines and ironing board. In need of a neatly pressed suit at late hours? 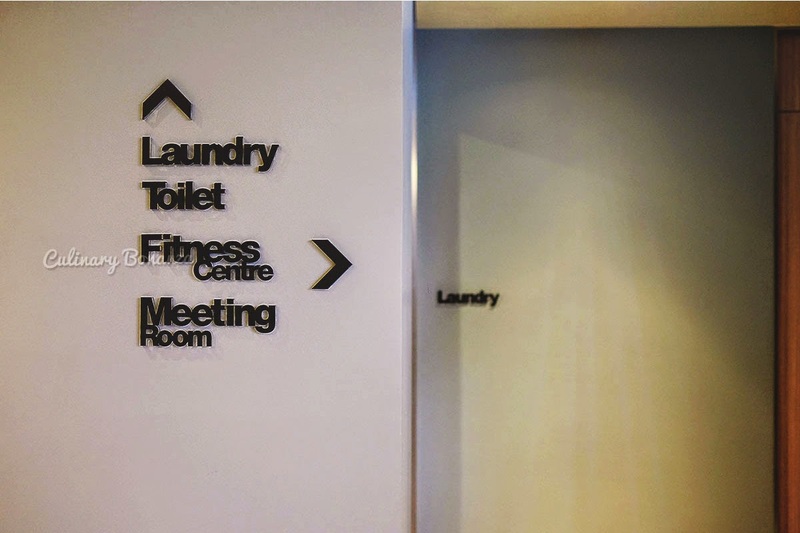 You can handle the problem by yourself, and just head to the Laundry Room at the Lobby. Also located on the ground floor, is a 24 Hours Fitness Room equipped with basic workout machines and gears. Oh, bottled water is provided in each rooms (complimentary) and if you run out of it, simply get more at the Front Desk. No, there's no swimming pool at Holiday Inn Express properties, so your bathing suit would not be needed in the hotel. Right: Nothing like your ordinary hotel trolley! 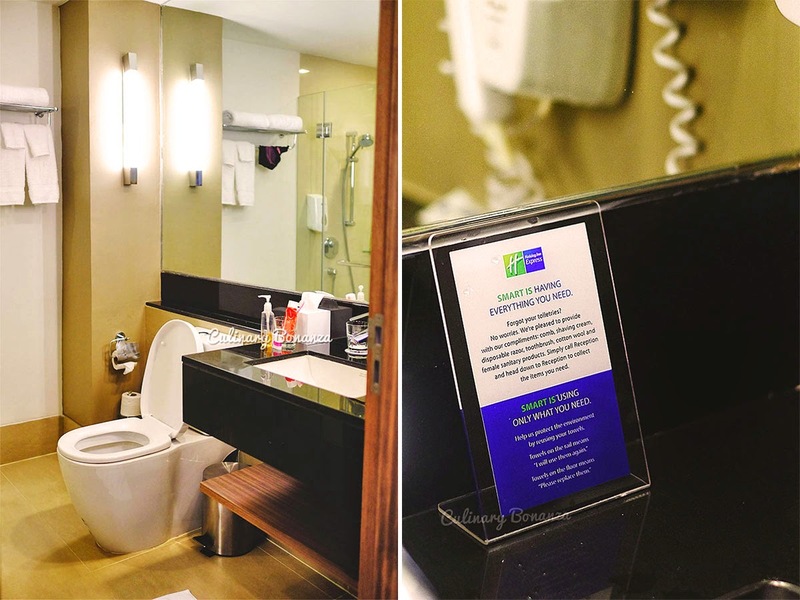 I stayed in the Single Queen Standard Non-Smoking Room, which is a neat & compact 19sqm room, with a bathroom inside, a 32-inches LED television with cable TV channels, an iPod dock/alarm clock and other basic room amenities. In the bathroom, in place of fun-sized toiletries, you will find bath soap and hand soap dispensers, as well as a few basic bathroom supplies. 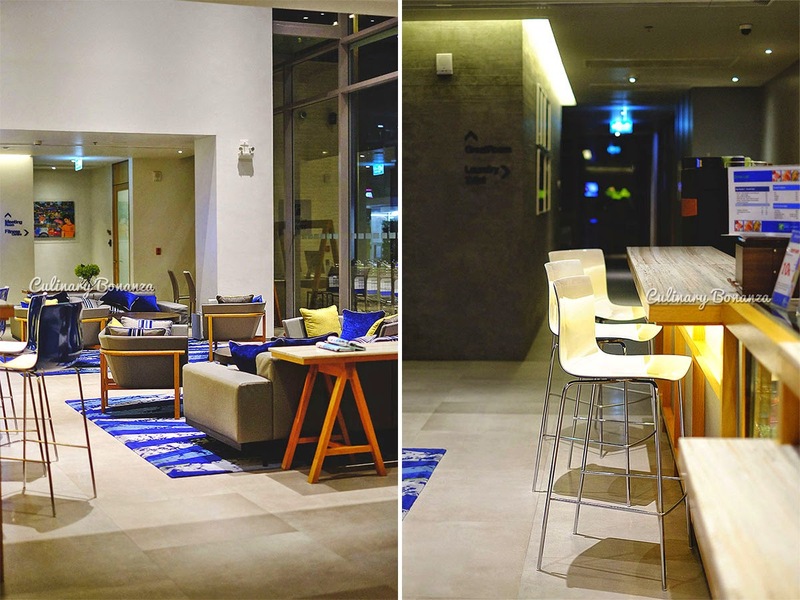 Whatever else you might need, you can simply ask at the Front Desk. As a smart hotel, the rooms are equipped with basic amenities and you won't find a mini bar inside, except for coffee/tea making set. If you need any midnight snack, 7-11 and McDonalds is just a 3 minutes walk away, anyway. What I like about the room is, despite the size, it feels spacious with the smart allocation of spaces. 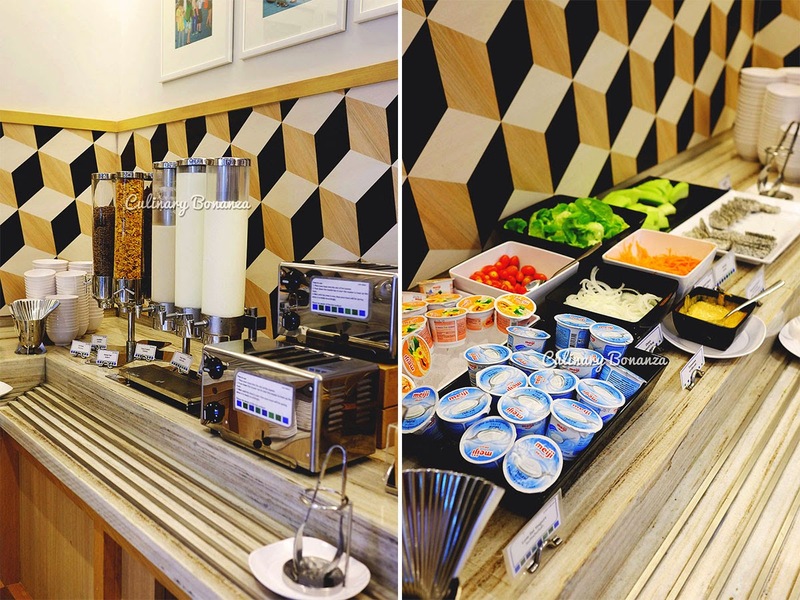 As an express hotel, Holiday Inn Express provides only what the hotels guests need: a smart breakfast spread. 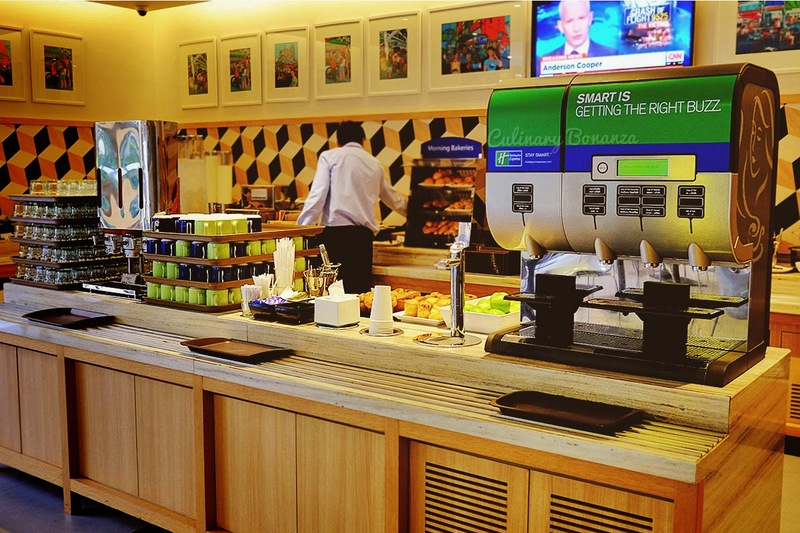 The Free Express Start Breakfast or Grab & Go Breakfast option is available daily inside the Great Room, for the hotel guests between 6 - 10 AM. 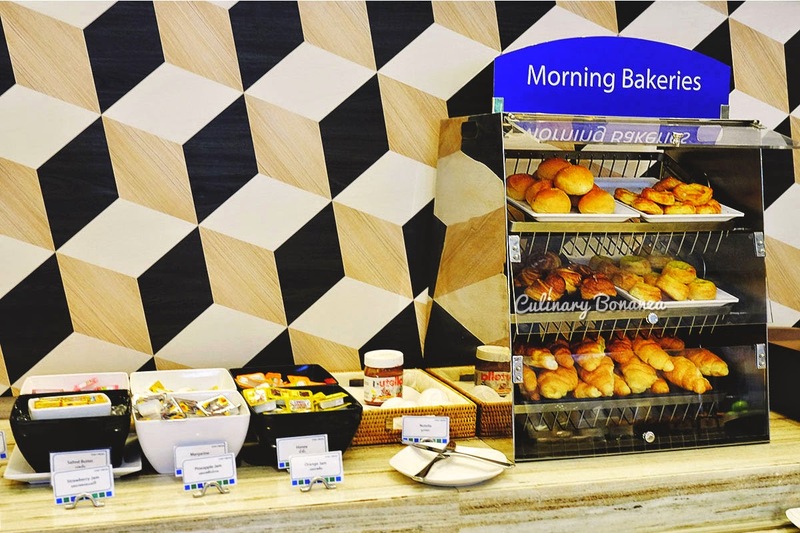 The breakfast spread is a simple buffet that offers free flow cereals, bakery selection, fresh fruits, savoury western breakfast such as omelette, sausage, etc. If you want to grab a little bit of everything on one go, you can just use the tray provided, which is pretty much like a smart, self-service canteen! And this is one chic common Great Room, I must say! What's interesting is that there's no room service here. So when you get hungry here, you are given the choice of dialing one of the several F&B partners to deliver food to your hotel room. The partners include McDonald's, KFC, Burger King, etc. This must have been one of the most pleasant hotel stays I've ever had. 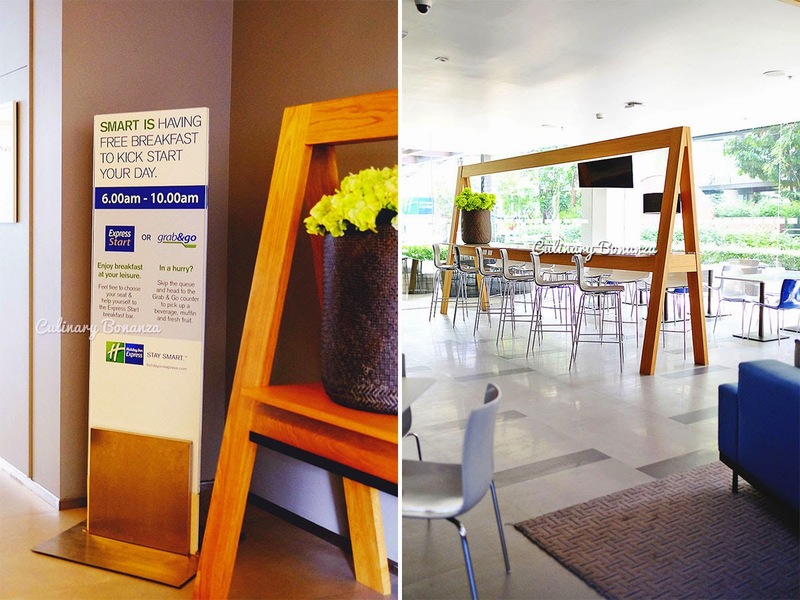 Holiday Inn Express may not be a star studded hotel, but its smart and express concept appeals to time-constrained travellers like me, especially with its express check in and check out system. To conclude my stay and this blog post, I truly enjoyed being here, for all the reasons above. 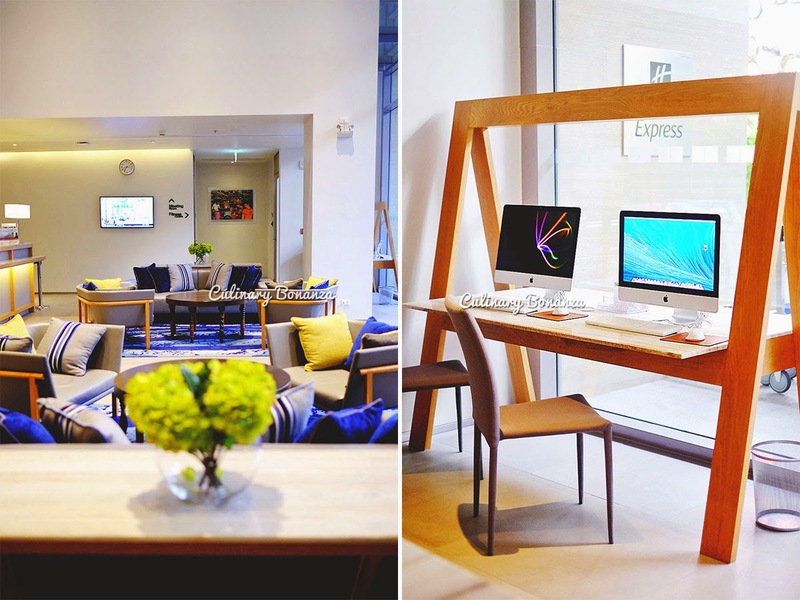 HIEXBangkokSathorn is definitely on top of my list of hotels to stay at in Bangkok.